The motion should pass and a date should be set for the final vote, which will require a 2/3rd majority. That should not be an issue since in the past municipal election 7 of the Councilors ran as a pro-downtown Lowell High School construction. The first order of business after approving the minutes is a General Public Hearing on an Ordinance Amending Chapter 266 Vehicles and Traffic. The ordinance makes significant changes to traffic schemes and parking rules for streets throughout the City. The report is 12 pages and there are major changes coming to parking on Bridge Street. Status of Marijuana Licenses: Motion (August 28, 2018) by City Councilor Rodney Elliott Request City Manager Provide an Update Regarding Status on the Implementation of Marijuana License. If I read the response prepared by R. Eric Slagle, Director of Development Services correctly, it indicates that “Patriot Care has proceeded through the state process with the Cannabis Control Commission (CCC) to obtain their state license for retail operations, and obtained a provisional license from the CCC on September 6, 2018.” Patriot Care is located around the corner from where I live and for many years they have operated a medical cannabis distribution center. We have not had a single problem. According to the City, there will be four other dispensaries as well as numerous cultivation/manufacturing facilities. Branch Street: Motion (3/27/18) by Councilor Vesna Nuon Request the City Manager review pedestrian safety along Branch Street business corridor is signage will improve safety in the area. Response prepared by Diane Tradd, Assistant City Manager/Department of Planning and Development. The response suggests both short term and long term solution. The latter would cost about $30,000 and would consist of crosswalk painting; sign inventory and adjustment; add signage in advance of crosswalks; add a flashing beacon/light at the intersection with Middlesex Street. The 4-page response is detailed and has a great deal of figures and data. The information will need to be further explained so that we can all understand what financial impact the Charter Schools will have on ours school spending. Response was submitted by Acting School Superintendent Jeanine Durkin. It is a 7-page report that prepared by Robert DeLossa, Academic Chair, Social Studies Department, Lowell High School and Elizabeth McKiernan, Director of the Abisi Adult Education Center. The report outlines the civics curriculum is in Lowell’s School System. Reliability of Electrical Infrastructure: Motion (6/36/18) by Councilor J. Leahy Request City Manager Have National Grid Identify Trouble Spots Concerning Electricity Throughout the City and Their Plan to Remedy Them.” The response was prepared by Christine Clancy, P.E., City Engineer and Jim Donison, P.E., DPW Commissioner. Pawtucket Street: Response prepared by Diane N. Tradd, Assistant City Manager/DPD Director to Motion (9/12/17) by Councilor E. Kennedy Request the City manager instruct the Traffic Engineer to provide recommendations aimed at increasing the safety of the crosswalk on Pawtucket Street between Arlington Street and Fanning Street.” The 4-page response includes graphics, pictures and various options for the City Council to consider. Authorize City Manager execute permanent easement between City and Mass Electric off YMCA Drive — Bus Parking Easement Area. Chapter 70 Supplemental Appropriation of $1,149,211 to Lowell School Department. Transfer $136,400 in Police Department to cover costs for training for this Fiscal Year. Transfer $60,000 for Maintenance, Repair and Overtime to Cemetery Department. Councilor R. Mercier request City Manager establish a process to enable individuals the ability to donate a bench to the City in honor of friends or loved ones. Councilor R. Mercier request City Manager have proper department install commemorative inscribed bench at Shedd Park in memory of Craig Maxfield. 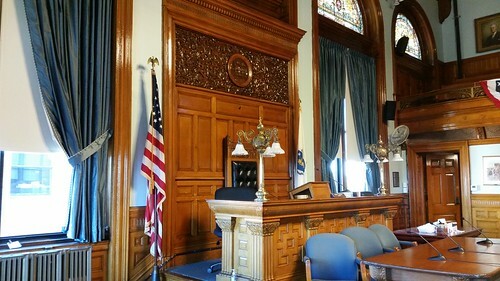 Councilor R. Mercier /Councilor R. Elliott request City Manager have Superintendent of Police provide opinion and report regarding costs for scheduling two mounted police patrols in downtown when Lowell High School goes in and out of session during school year. Councilor D. Conway request City Manager Emergency Management Team provide an updated report regarding their practices and procedures to the City Council. .Councilor K. Cirillo request City Manager work with the LPD to implement procedures to better keep our crossing guards and children safe. Councilor K. Cirillo request City Manager have proper department provide a report to the City Council as to installation of, “no turn on red” signs at all intersections of Boylston Street and Rogers Street. Councilor K. Cirillo request City Manager have proper department provide a report regarding ways of making Boylston Street more bicycle pedestrian friendly. Councilor K. Cirillo request City Manager have proper department provide a report regarding installation of 15 MPH signs near all Lowell Schools. Councilor K. Cirillo request City Manager have proper department assess the amount of accumulated waste in the Jackson Street area since the new installation of the waste receptacles. Councilor J. Milinazzo request City Manager prepare a report on who is responsible for the upkeep of the grounds at all of our school buildings; including staffing levels by shift. Councilor V. Nuon request City Manager prepare review and or update any ordinances regarding parking of commercial vehicles on city streets and in neighborhoods. Councilor E. Kennedy request City Manager re-organize the way in which the City addresses the deferred maintenance of school buildings in order to improve productivity and efficiency. Councilor E. Kennedy/Councilor K. Cirillo request City Manager develop an action plan aimed at eliminating the deferred maintenance in all of the schools throughout the City and that the City Manager seek funding from the MSBA in order to implement the Action Plan.